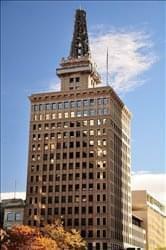 Find My Workspace lists over 95% of the executive office suites market in Salt Lake City. Simply click Request Quote to check pricing for one office, or Add to Basket for multiple offices. This business center is a 20-story historic building built in 1911, exquisitely restored. It now employs 21st century HVAC, power, telecommunications, and a full towel service gym. With 17 executive office suites, a co-working business lounge, kitchen and conference rooms, this center is well equipped for conducting business or meetings. An attached parking garage affords direct 24/7 access to the premises. This business centre is a newly constructed LEED Silver certified building just 15 minutes north of downtown Salt Lake City and the Salt Lake International Airport. Conveniently accessed from I-15 access the building is surrounded by many retail, dining, and entertainment amenities. There is ample free covered and surface parking, and the building includes men’s and women’s locker & shower rooms. This location boasts beautiful gardens, great views of the valley and the Wasatch Mountains. Class A finishes throughout with modern communications including fiber Internet up to one gigabit. Features two day offices, 15 tenant offices and two conference rooms in a flexible coworking business environment. 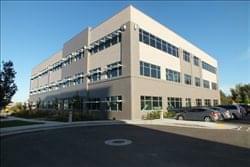 This luxuriously furnished and exceptional quality business center location is ideally set within a newly constructed LEED Silver Certified landmark corporate building, complete with a vast array of technologically innovative and high class state of the art facilities, perfect for any form of corporate operations. All available office suites and workspace types are all inclusive and come fully furnished. Free guest Wi-Fi and coffee, tea and soda are on offer to all occupying tenants and professional visitors to the site as standard. There is ample free parking (both covered and non-covered) and showers for the building on-site.